specialised containers for the offshore oil and gas industry. Our DNV containers are built to withstand the rigours presented to them at sea and service the off-shore and oil and gas industries worldwide. The DNV 2.7-1 standard of all of our offshore containers relates to transportation shore-side (by fork lift), by supply vessel and lifting by crane onto and off offshore installations. Our offshore containers are designed to withstand all of the challenges of offshore installations and avoid failure even when faced with extreme conditions. 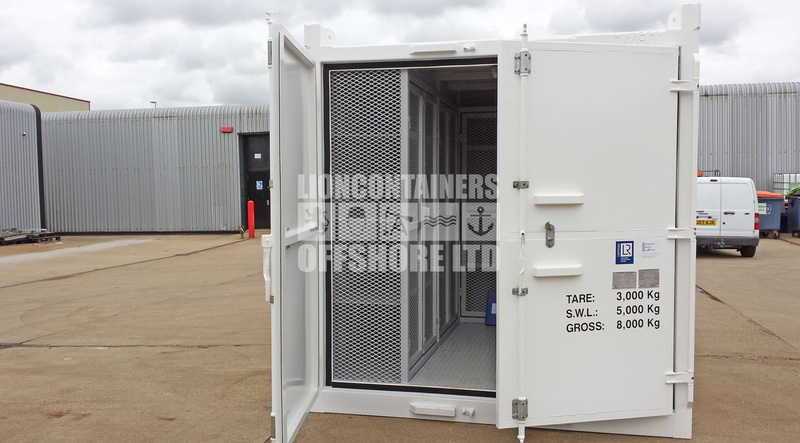 We are also able to offer containers to DNV 2.7-3 – items such as temporary offices and control rooms intended for offshore use do not fall into the standard DNV 2.7-1 for containers, instead verification is provided by the DNV 2.7-3 standard. 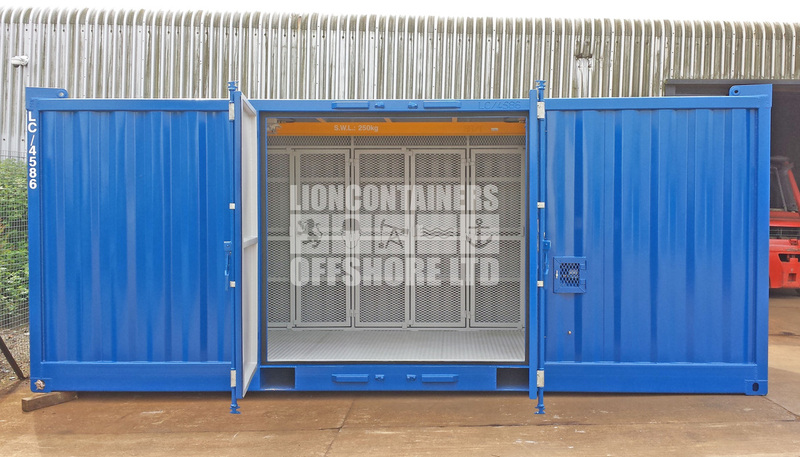 As well as our specialist DNV containers, Lion Containers (Offshore) Ltd are also able to supply bespoke DNV products to individual or type approved customer drawings. All of our new and used DNV 2.7-1 equipment are supplied with certified slings and shackles as standard and also conform to BSEN 12079. Many of our DNV containers are provided with door cargo nets and door tie back retainers. Many are also stackable and fitted with forklift pockets for easy accessibility and movability whilst saving on yard space. Internal lashing points provide the opportunity for excellent, secure cargo stowage. The majority of our DNV Containers are also fitted with an ISO block/Pad Eye combination to allow easy stacking with ISO standard locks, as they are built to CSC standard they are also able to be stacked along with regular ISO containers on board cargo vessels. For more information please read about DNV Certification, our handy DNV Certification of Conformity Guide or some Frequently Asked Questions about DNV Containers. What is a DNV 2.7-1 Offshore Container? Off-Shore Container: A portable unit with a maximum gross mass of 25,000kgs, for constant use for the transportation of goods and equipment, handled in open seas, to, from, and between fixed or floating installations or ships. As opposed to standard ISO Containers, DNV containers heavy duty construction is designed to withstand the rigours of being out at sea, particularly prevalent in the off-shore oil and gas industries. The DNV certification 2.7-1 states the standard of container required for off-shore containers in order to make sure that the DNV closed container is able to transport cargo in adverse seas safely without damaging cargo or surrounding objects. 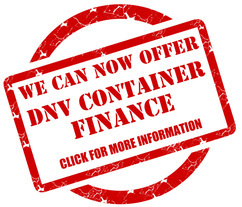 The process of certifying a DNV container covers all permanent items within or outside the container ensuring that all materials used are suitable for a long life off-shore as well as being easy to inspect and repair when at sea. Inspection takes place annually.